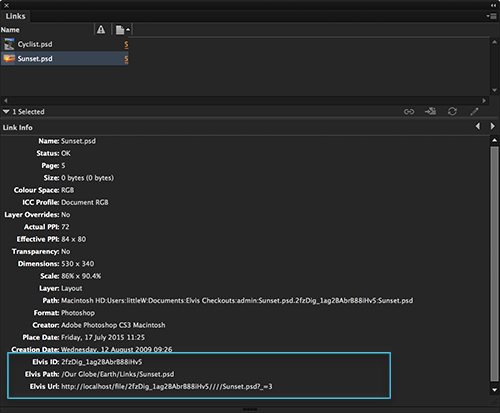 The Elvis InDesign Client lets you edit InDesign layouts containing links to Elvis DAM. This article describes how to install the plug-in for the first time or how to upgrade an existing installation. 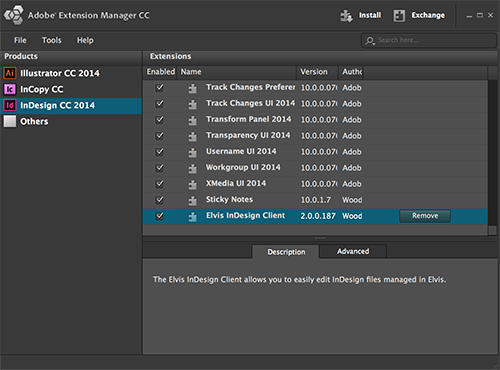 For Elvis 4.6 or higher: Launch the Client Install page from the Elvis Server launch panel, click the icon for the Elvis InDesign Client plug-in and save the file. Note: When multiple versions of the Extension Manager are installed, make sure that the version launches in which you want to install the plug-in. If this is not the case, quit the Extension Manager, start the correct version and double-click the downloaded file once more to start the installation. Making use of the InDesign Client requires a Pro license for each user. 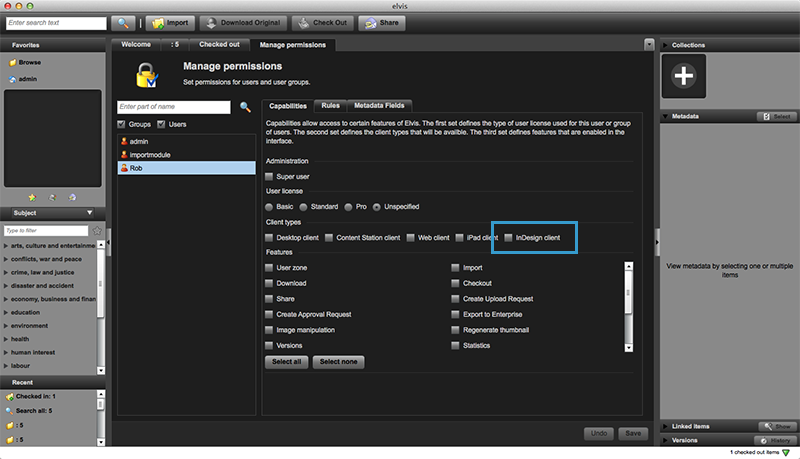 Make sure to assign sufficient licenses in Elvis Server. (Elvis InDesign Client 1.x only) The Elvis InDesign Client automatically resolves links to Elvis images placed on a layout. In order to have this working correctly all placed images must have an Elvis asset ID embedded in their metadata. An "Elvis" entry to the main menu. 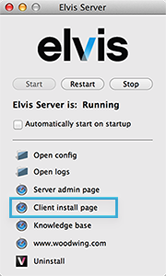 It contains options for logging in and logging out of the Elvis Server. Figure: The "Elvis" menu contains options for logging in and logging out of the Elvis Server. 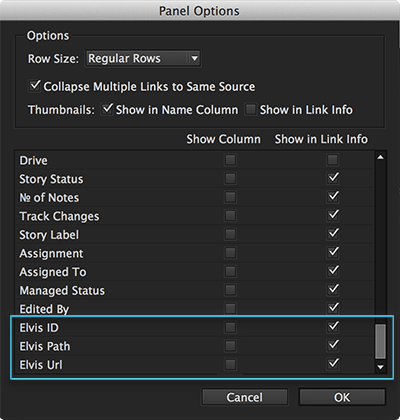 An About Elvis Plug-ins... option in the InDesign menu (on Mac OS X) or Help menu (on Windows). 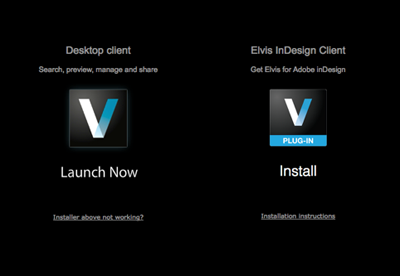 This will display which version of the Elvis InDesign Client plug-in is installed. Is there an upgrade to the InDesign plugin to support InDesign 2018? This is critical to our workflow. I hope it's sooner than later. For further questions about this or similar topics, and to give your question more exposure, it is best to make use of the Community forums instead of posting comments to articles in the product documentation section.